Gutters are ensure rainwater will fall directly on the ground around your home. Unfortunately, ineffective gutter systems means the rainwater will be pooling and accumulating until it eventually finds its way to your home’s foundation and basement. If there’s a problem with your gutters, like a clog or a leak, you compromise the safety of your home if you leave these problems unchecked. And the bigger your gutter problem, the more you put your home–and yourself–at risk. Don’t delay. Get in touch with your Knoxville, TN, gutter contractor and have your worn or broken gutters repaired or replaced. Roof gutters are often out of sight, out of mind. Most of the time installed, the moment they are installed will also be the last time a homeowner will think about them. Despite their tendency to be ignored, gutters are actually among every home’s most important functional pieces. Without them, rainwater will just run down the side of your home, potentially penetrating certain parts and causing further issues. 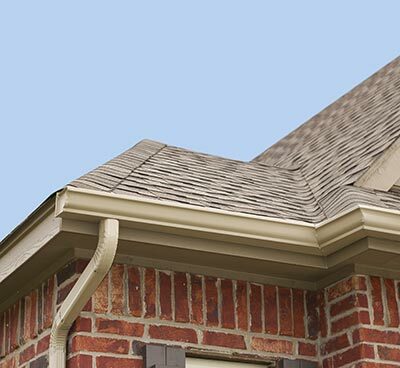 Moreover, you need to cover every inch of roof edge with a gutter. You don’t want to discover one day that your home’s foundations and building materials have sustained massive and irreparable moisture damage. Gutters are a quick and simple solution to avoiding all of those problems. Valley Vista Construction, Inc. is a fully licensed and insured gutter contractor in Knoxville, TN. We have an impeccable record with customers, because we are committed to ensuring their peace of mind and total customer satisfaction. We’re not here to waste your time, as we strive to get the job done. When it comes to quality gutter installation and repair, the buck stops at our company. Valley Vista Construction, Inc. is a Maryville TN, gutter contractor that provides free estimates for all our services. You may reach us at our phone number, (865) 963-7003, or by filling out the information form on our Contact page.